Trying to get into Netflix and I keep getting this error message: Code: ui-800-3 (100018). How can I fix this? I am getting this same error code. Have you figured out how to fix the problem? Any help would be appreciated. 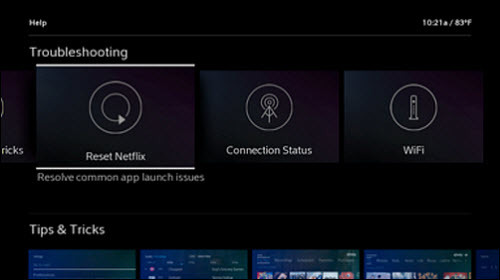 Netflix website has solution for fire stick and smart tv. Used the smart tv solution. Looks like that fixed it. When you get the message, select More Info. 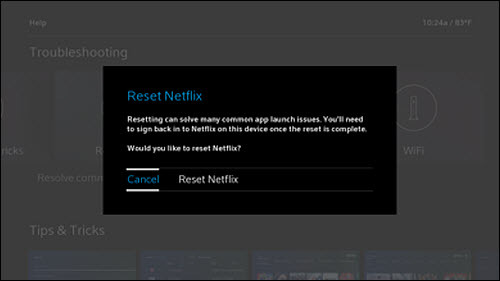 Scroll down and select Reset to reset the Netflix app. Restart Netflix and sign in again. Press the A button on your remote control, scroll to the right and select Reset Netflix. All set. 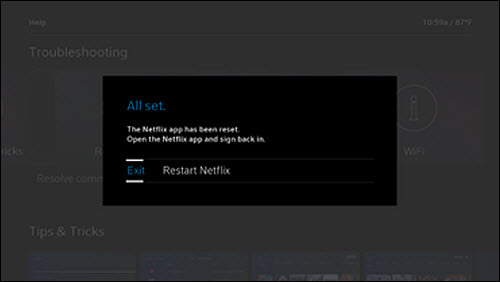 You can open Netflix on X1 by selecting Restart Netflix. Please let us know if you continue to experience difficulties after completing this reset. That worked! Thank you for your help! i have the same error message, but if I follow the reset, am I going to have to sign back in using my password ? -which I requires that I go to Netflix and retrieve my forgotten password. Yes. Unfortunately it does require you to sign back in. But, it does fix the problem. It did fix the problem. 12-8-18 I continuously lose connection while watching Netflix. I have to reload approx every 20 mins. I have refreshed via the phone and I have refreshed my modem online. what next? it is very frustrating!!! cynkellysmith, thank you for reaching out. To take a look at this further with you, please send me a PM with your first and last name.